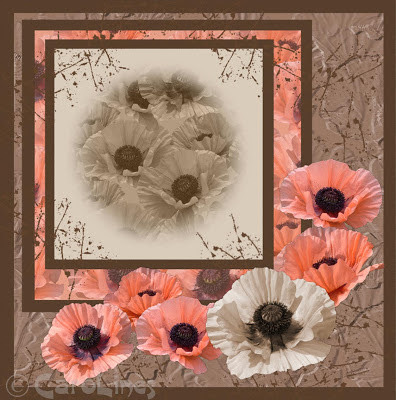 Created in Serif CraftArtist 2 using images from my Poppy Parade Digikit. Images layered and the 'thorn' brush from CAP2. A beautiful tribute to all who have lost their lives in the wars.